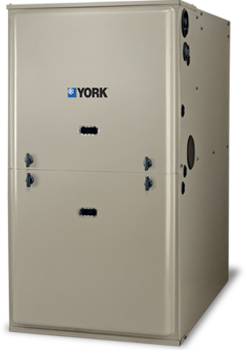 A new furnace should last at least 15 years. 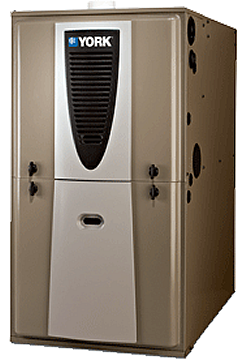 Many new furnaces will last 20 years or more. 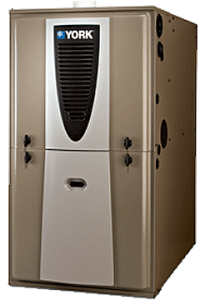 The operating cost savings for the furnaces we are offering will pay for the difference in first cost of these high efficiency furnaces many times over the lower cost of the government mandated minimum efficiency furnaces. ENERGY STAR® qualifying efficiency up to 98% AFUE (Annual Fuel Utilization Efficiency) provides more heat for less. 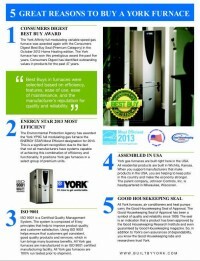 Features and awards as noted to the right and downloadable brochure. Single-stage burner and advanced blower motor ensure comfort. 10-Year Limited Parts and Lifetime Heat Exchanger Warranties — This product is covered by some of the best warranties in the business. Efficiency of up to 80.0% AFUE provides more heat for less. 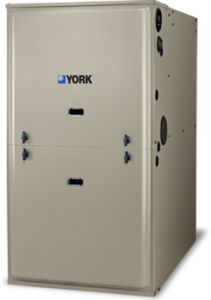 Best Buy Award —York was proud to announce a Consumers Digest Award was designated to the York® AffinityTM Series YP9C modulating gas furnace. 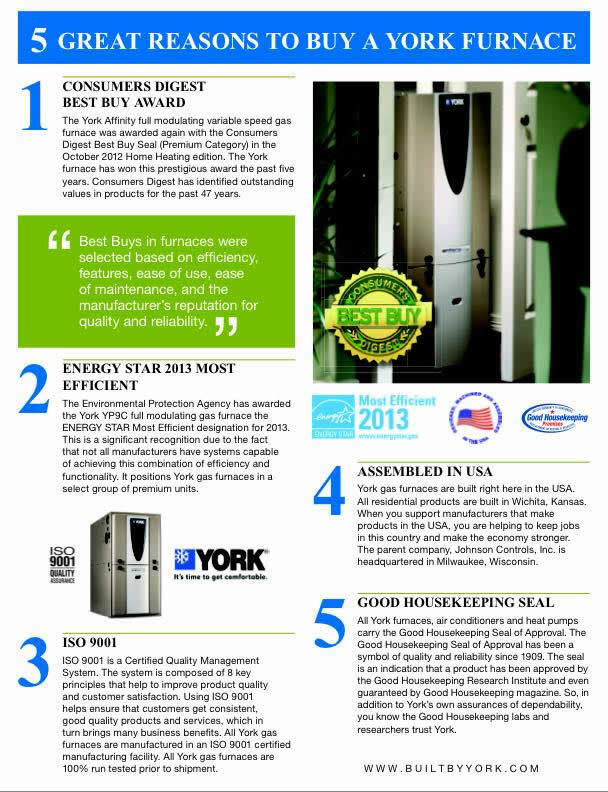 The Best Buy seal is a registered trademark of Consumers Digest Communications, LLC, used under license. 10-Year Limited Parts and Lifetime Heat Exchanger Warranties — This product is covered by some of the best warranties in the business: 10-year limited parts and lifetime heat exchanger warranties. Variable Speed Technology — This blower technology adjusts gradually to deliver precise comfort without wasting energy.